Give in to the exotic confluence of today and tomorrow in this beautiful attire. 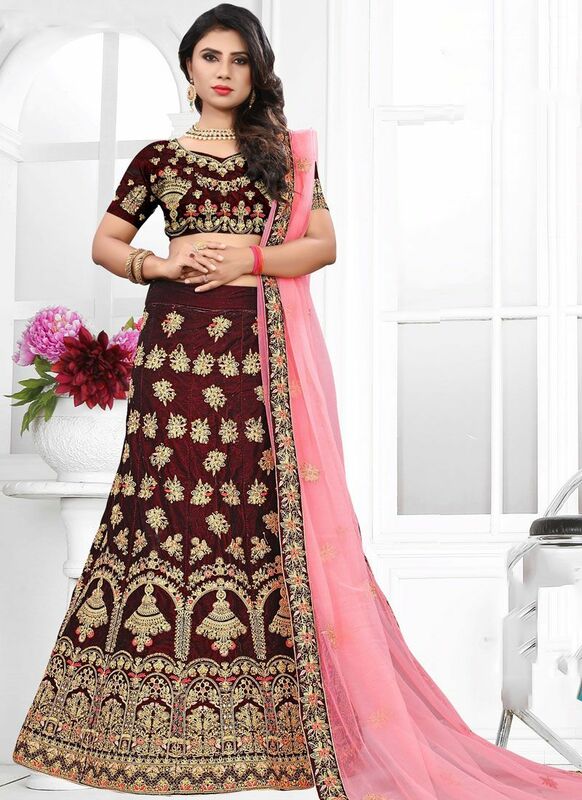 You are sure to make a strong fashion statement with this maroon velvet designer lehenga cholicomes with matching choli and dupatta. (Slight variation in color, fabric & work is possible. Model images are only representative.). This lovely attire is looking extra beautiful with embelishment of embroidered, stone work and thread work.